Did the drain in your bathroom or kitchen get clogged? Do you want to put a new sink? Would you like to have a tub in your bathroom or replace your current one? With the temperature rising, have you check if your A/C is functioning properly? Have any other plumbing problem and not sure how to resolve it? Don’t worry any longer! Melvin’s Plumbing offers you full plumbing and air conditioning services. Whether at home or in the business, plumbing issues can occur at any time, but Melvin’s Plumbing is here to help you solve any problems you may have. We provide the best service to all our clients and we have the latest technologies to do the best jobs. 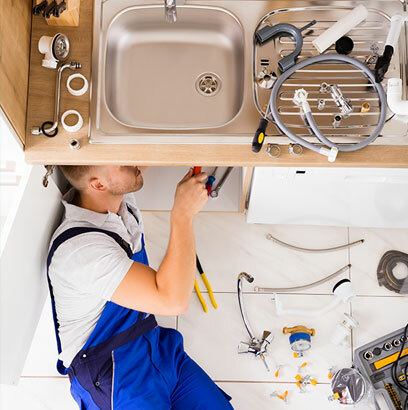 We can fix anything from pipes with water leaks, repairs or replacements of water heaters, bathroom or kitchen sinks, and any air conditioning problem. 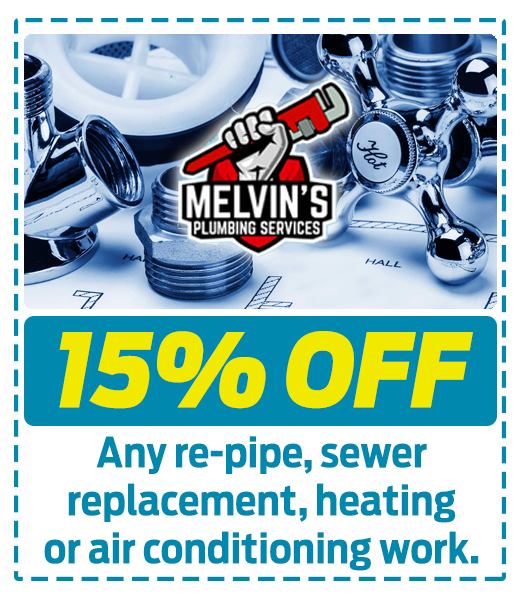 "What I liked about Melvin's Plumbing was that were very punctual, they did a very thorough inspection and when they gave me their diagnosis the price they gave me was very good and they finished their work within the time-frame I had been told. I have recommended them to my relatives because of the great job they did. " "The bath tub was so clogged it looked like a pool, I bought a remedy that I saw on television, but nothing happened. I was in need of an emergency service so my neighbor told me about Melvin. I immediately called him and they said that they would come right away and that was it! It seemed so easy what they did, but that is of course because they know how to do their job well. I found the price very reasonable and I was very happy with their work. " "One day I got to my business and saw there was a lot of water coming out of one of the bathrooms, a little more and the furniture would have been ruined, thank God my assistant knew of an excellent plumber. Melvin arrived right away and before I knew it the plumbing was fixed and fortunately my business did not suffer much damage. He is a lifesaver. I'm really grateful to Melvin, and of course I recommend him to everyone. "